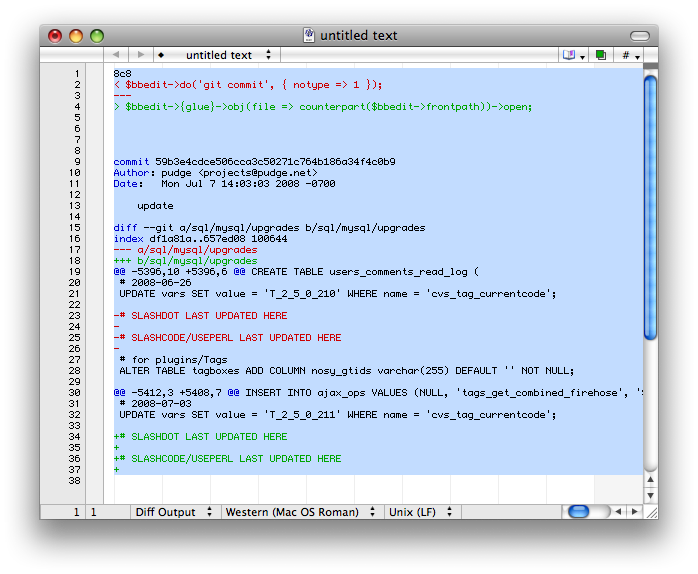 I wrote BBEdit Language Modules for diff (screen), and for git's blame (screen). 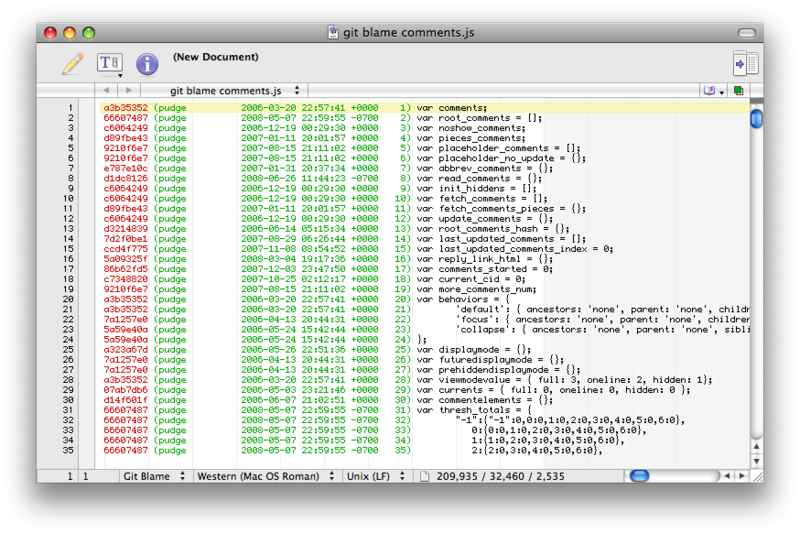 I also wrote a BBEdit Unix Filter for sending a JS selection to the JSLint web site in Safari. This page contains a single entry by pudge published on August 29, 2008 10:03 AM. "This is a Moment" was the previous entry in this site. Another Question for Fans of Kerry, Obama is the next entry in this site.